Spaltklang is last to time musical band , established by one of most respectable Swiss jazz/avant sax player, composer and bands leader Markus Stauss. In late 80-s - mid 90-s he was known as progressive jazz fusion band Überfall leader. Spaltklang was born when Markus Stauss got the idea to create with modern instruments what in medieval times was called a broken consort - a music composed of wind and pluck instruments and strings including a percussion unit (SPALTKLANG - split sound is the German word for it). Swiss quartet delivers a fiery avant-prog blast based on the rather standard formula: European folklore combined with an enthralling, mathematic post-punk rhythm section, some jazz elements in the attitude and many avant-garde leanings à la Tom Cora. The furious rhythm intersections can be compared only to odd-groove godfathers Volapük, while the funky, metallic bass playing is the true standout besides the colourful style of Markus Stauss. Not very original, but definitely accomplished, a must have for avant-prog lovers! Swiss band SPALTKLANG has been around since 2001, different incarnations of the band releasing a total of five full-length studio albums so far. 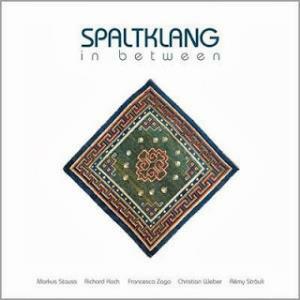 In 2013 a brand new version of Spaltklang was ready with "In Between", the most recent of their productions to date, which was released through the Italian Altrock label. "In Between" is a production that invites to a great number of associations playing on its title, and can truly be said to be in between something on a number of different levels. While I can't see this CD ever reaching out to a broad audience, those with a defined taste for challenging instrumental music with strong improvisational orientation should find plenty here to enjoy. A taste for experimental and free-form jazz will probably be an advantage, and a certain affection for avant-garde progressive rock and chamber music will probably come in handy too. If you truly love all of the above, then chances are good that you'll be able to decode and truly enjoy this hour-long escapade into the realms in between. This is the fifth studio album from Spaltklang, a Swizz act led by mastermind Markus Stauss, who I've been in touch with since some years ago, exploring into his several musical projects in which Spaltklang is included, of course. His jazz and improvisation tendencies have led him to create interesting and challenging music, which is not truly easy to dig, but once you are into it, you cannot escape. This happens with this band. I've had the chance to listening and reviewing to their previous three CDs, which I've found great, and now I have the opportunity to write about "In Between", a five-song album that changed a bit the direction of Spaltklang, with the addition of Francesco Zago, a long-time friend of Stauss, and a wonderful musician. What first caught my attention about this albums, was the length of the songs, because in the previous ones there were not so many tracks over the ten-minute range, and this time 4 out of 5 tracks are over that 10-minute mark, while the other lasts 9:30 minutes, so though the musical vein might be the same, this time Spaltklang changed a bit its style, morphing into a deeper improve-like jazz fusion tune. That explosion can be discovered in the first moments of "Look for, which clearly show the tendency of this particular album. In those 12 minutes we can find several changes, several stops and go`s, parts where the music flows and others where the winds create dark passages, sometimes accompanied by drums and bass, adding that rhythm which sometimes is simply lost somewhere. 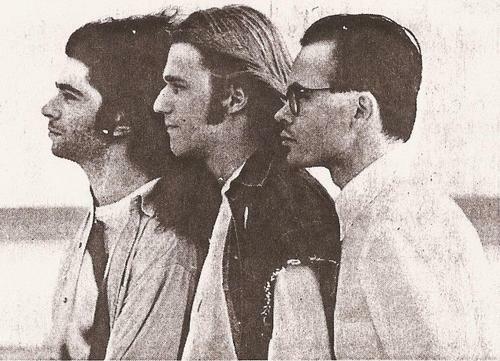 The second song is "In Between", the title track is rockier, here the addition of the guitar puts different textures, however, don't expect a song easier to dig, no, it does not have a true rhythm, its structure vanishes and then we can listen to saxes here and there, with lots of stops, of silences, creating a kind of somber tension, which in moments might bore you. Better moments come later, but this song was not my true love, to be honest. In "4 Elements" the sax sounds first, later drums join, and some seconds later the guitar also makes its contribution, here the song does have a rhythm, which is closer to jazz and more enjoyable than the previous tracks, by the way. What I like of this song is that it caught my attention since the first seconds, and its cadence, movement and even joy, made me feel comfortable during the whole 12 minutes. It is obvious that you will find some free jazz moments, some changes in mood and tempo, but the interest here prevails, fortunately. "A Suite" is as you guess, yet another suite, this time reaching the 10-minute mark. The jazz tendency is clear again, and clearer the tendency to the winds, though here the bass plays a more important role than in the previous tracks, at least here I listen to a bass player freer, it transmits good energy and vibes, After four minutes there is a stop, silence and then new elements are brought, so we can expect a new structure or something like that, anyway, in moments the restructuration is so slow, that one could close the eyes and fall asleep. That middle part is not the brightest, however, the band compensates it when the music returns to its origin, with that nice bass sound and the chat between winds. And finally "Ural Fragment" which is a slow free jazz track, which is also a long one, so if you feel the album has been slow and difficult to dig, here you will get crazy. Honestly I prefer the Spaltklang with shorter tracks, I felt more involved with them, with these ones, sometimes I just can match with the music, in moments my mind loses it interest with the music and focus in another things, which of course I assume it is not the goal of the music. So in moments I felt tired, and now with this last song, I sad "really, another long one? ", though I must confess I like its crazy guitar moment after the fifth minute. I am sorry Markuss, you may have expected a better rating, but I think so far this is my least favorite Spaltklang album, or maybe I just need more time and get used to its new format. My rate, 3 stars. It is certain that Spaltklang, a project born in 2001 from an idea of saxophone player Markus Stauss, is a composed of high quality musicians and that In Between (2013) is amazingly produced and will please ANY Jazz Fusion lovers. The problem here, at least for me is: what's the point? Now, I admit, Jazz Fusion and any kind of 'Free Music' is not for me. For me, Jazz Fusion is a kind of music that doesn't ring any bell and fail to hold my attention as I think it's a kind of music that just plays along without any plan. I am a kind of guy that likes more cerebral music that's been planned and just then executed. Spaltklang, as I mentioned, is guided by a Swiss saxophone player Markus Stauss and for their 5th album In Between (2013), he renewed the band and now they also have Richard Koch (trumpet), Francesco Zago (electric guitar and loops), R'my Str'uli (drums) and Christian Weber (double bass) in their line-up. Markus and Francesco are also part of the band Yugen, that follows pretty much the same sonic path. In Between (2013) is exactly what every Jazz Fusion album usually is: too long songs with almost no main riffs in the them and improvisations along the whole of the five tracks and 59 minutes of the album. Maybe the exception is '4 Elements' and that's exactly why this is one of the most interesting tracks on the album! It shows you can have a main and interesting riff as a lifeline to the listener and still be able to freely move within the music. 'Ural Fragment' follows the same way and again shows interesting moments. But for me the Drone sequences on the track make it uninteresting again. Resuming, if you're a Jazz Fusion fan, and you like the liberty is has, this will be simply great and you should definitely check it. As I mentioned before, all AltrOck releases are high quality material and you can buy them without any fear. Now, if you're like me, and you just can't stand Jazz Fusion' pass along, cause this will not be your cup of tea. A couple of years after the release of "Surprise" (my favorite Spaltklang so far) they created their third full-length album called "Lontano", which features ten songs and a total time of 51 minutes. Once again, this interesting Swiss quartet has offered a good album that is worth listening, though in the other hand, this may be my least favorite of theirs. The album opens with "Antipasto" which happens to be the first of four parts (movements) of "Ein Diner zu Ehren von John Cage" or (A dinner in honour of John Cage); these four short (one minute) pieces were placed as tracks one (Antipasto), three (Primo), six (Secondo) and nine (Dessert), and consist basically in a saucerful of weird sounds. Immediately after the end of the first piece, "Nachter" appears with a strong violin and sax sound, well accompanied by great drums and a powerful bass sound. During the almost ten minutes of this song, you will listen to some cool changes in mood and tempo, I really like when the music slows down and produces different atmospheres and feelings, then it gradually progresses until it forms a new structure. Pretty cool song! So "Primo" gives a darker feeling, it sounds like the transition of a film, in a tense scene. Now "Der Wurm" begins with drums that seconds later will be joined by bass, sax and violin. The sound may be alike to the previous long song, however the rhythm is neither the same, nor the music itself, the thing is that there is a nice continuity in their style. In this song you will find some "rockier" moments and I can say that was provoked by the drums, which are awesome in this whole track. Later there is a sudden change where a sax solo appears. One can easily enjoy the almost ten minutes of this track (or any Spaltklang track), though it is not actually the easiest music to digest, once you can, you will be thankful. The longest track is "1+4" with ten minutes and a half. Some kind of dissonant bass sound opens it; there are some electronic effects here that produce a dark atmosphere. The track continues like this for a minute and then the other instruments enter and each of them play different things, seem like they are not connected, however, they are. After minute three it is clearer that a new structure is being built, the rhythm sounds semi-slow, but it is very interesting actually. There are several changes in this single track, however it never fails, it does not lose its essence, and you as listener, don't lose interest, so better open your ears to it. "Secondo" offers again some weird sounds, one minute of strange music. "Old & New" is one of those awesome tracks you cannot miss. Pay attention to the work of Markus Stauss with his saxophone, it is simply amazing, takes you to another planet, easily. But well, as I've mentioned in my other reviews, in this band, the four members are equally important, equally awesome, and when in a band all the musicians are like that, then the music is a complete success. "Berg & Tal" gives the sensation of a faster song that will ask for your attention since the very first seconds. It maintains that accelerate rhythm for a minute and a half until it suddenly slows down, and as you can imagine, again it gradually progresses and makes different changes, which does not mean they use the same formula in all their songs, and if they do, they have the right as long as it works, and it does. The last of the four short pieces comes with "Dessert", maybe the weirdest of them all, the final part of this John Cage tribute. And now the final part but of the album comes with "Another Dance Tune"; if you've realized, they use three different languages in the song names, something curious. In this last song the title says it all, though a jazzy-avant garde track is not really something to dance, it does suggests it in parts, which is funny but actually pretty interesting. In my opinion, this was a good choice, a good track to finish this excellent album. Though I previously mentioned that this may be my least favorite Spaltklang album, I must say that so far none of their albums have let me down, and this is not the exception, actually, I've enjoyed them so much that none deserve less than four stars. So I recommend this band a lot. When I wrote my first Spaltklang review I mentioned that this is a band that I've been listening a lot for the last couple of months, and I have to confirm it, because I keep listening to them with the same enthusiasm I had when I got their albums. The fact is that the more you listen to their music, the more you are addicted to it, the reason: awesome music. This Swiss quartet has developed some of the most exquisite instrumental avant-jazz I've recently discovered, so please if you can, get their albums, or at least start with one. This is their second effort released in 2004, and so far I may say my favorite Spaltklang album. It features eight compositions and a total time of 53 minutes. The first song is pretty important because it introduces you to the music, so if a first track is good, then you will keep listening; I mention this because the first composition entitled "Inmitten" is one of my favorite tracks on the album, I believe they chose a perfect starting song, full of colors and textures, with great mood and music changes and different elements that together create a superb song. Next is "Überall", a fast track that will make you move your body, the rhythm maintains you expectant all the time. I really like the bass sound here because in my opinion it produces a great but dark atmosphere. A minute later some strange change appear with electronic sounds reminding me to some sci-fi films, if you close your eyes you may feel in space, in another galaxy. Later violin appears and mark the beginning of a new structure that little by little arises. "Patterns" is an excellent track that since the very first seconds will catch your attention, maybe due to the repetitive yet addictive sound it creates for more than a minute, then it slows down and create a tranquil atmosphere where the instruments are playing some random notes. A couple of minutes later the music explodes and some kind of chaos appear (I like chaos) and will put a smile on you. The saxophone sound is especially great. "Sadness" starts very slow, I assume the music has to do with the name of the song, that is why that soft sound prevails, and a disarming atmosphere is created. After minute three there is some kind of tension, like if you felt despair of reaching a goal. Then the music slows down again and follows the same path until the very end. "Irgendwo" seems to continue with the same feeling that the previous track had, this is actually a difficult song because you are dragging the last song mood, so with this you may feel even tired in some moments, but if you are patient enough, then a couple of minutes later you will have your reward. I like how they managed to create different moods in one single track. The last couple of minutes show the musician's skills and create a challenging sound. Great progressive song! Again the bass sound is a highlight for me, in this song entitled "Spuren" which is another of my favorite tracks here. The repetition of the bass sound does not bore me, on the other hand, creates a true addiction, but the good thing is that the addiction does not restrict me of appreciating the other instruments, so I can easily enjoy each member's work, because all of them together complement each other, if one of them fails, then the music would not be the same. 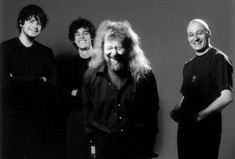 "Flammen" is another great example of the great musicianship, the quality of the four members of the band and their abilities to compose first-class music. This eight-minute track transports you to another world due to the complexity of the music and the different nuances it produces. I really like the work of the saxophone sound here, but well, as I've mentioned, this is a complete quartet where the four people have the same importance. And last but not least, "So weit das Auge reicht" which starts slowly with the violin but it gradually progresses until becoming in a strong and really interesting track. Again the changes within the structure are noticeable and challenging, the drums are especially good here. Minutes later they combine the electronic (spacey) elements with the distinctive Spaltklang sound (violin, sax, bass, drums) and end this album in an excellent way. My final grade will be four stars, easily. If you manage to get their music, it won't let you down, believe me. Excellent album from this Swiss quartet! Fortunately, the music of Spaltklang was introduced to me recently, and in the last month I am sure this is one of the bands I have listened the most, the reason is simple, they are great. This is a quartet from Switzerland, led by a prominent musician named Markus Stauss, who has worked with other bands such as Überfall or Finnegan's Wake, he is an outstanding sax player. But besides him, the band consists on Stephan Brunner on bass, Olivier Vogt on viola and Remy Sträuli on drums and keyboards. So far they have released four albums under the Fazzul Music label, their latest one is entitled "En Suite" and released last year (2009). It features eight songs and almost an hour of great, jazzy avant-garde music. The album opens with a one-minute introduction called "Amuse-bouche" with only some sounds that will open the gates to "Von Anbeginn" which in the other hand, is the longest composition here. Since the first seconds the saxophone appears and its delicate sound will make you feel comfortable and interested. A couple of minutes later the song changes and a new structure appears, now besides the saxophone, the viola takes the baton. Let me tell you that Spaltklang's music is completely instrumental, and if you want a label, I would say that here you will listen to a delicious mixture of jazz with rock in opposition. "Heartbeat" starts with viola and then bass and drums join, a minute later sax enters and together begins to construct a strong front, a great structure. There are moments where all of them greatly interplay and create a friendly but challenging mood. The bass sound is excellent here. 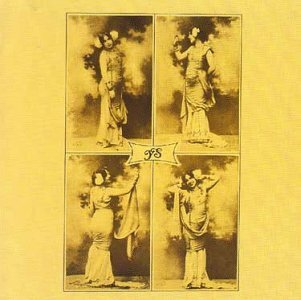 The title track, "En Suite" is a twelve-minute song full of colors, textures and different nuances. Despite the instruments are the same all over the song, the musical elements are pretty varied, I love how they interplay and create complex sections where one can easily appreciate their musical abilities, they are for sure trained musicians. These twelve minutes divided in different sections will put a smile on your face. "Ideen" starts softly with a delicate violin sound, however a minute later it changes and becomes faster and complex. One may think that in a band like this, sax and viola are the obvious leaders, but no, all of them are equally important, put attention on the exquisite bass lines and the always accurate drum playing and you will understand what I mean, though at minute five there is an outstanding saxophone participation. Next one is "Evocazione", it is curious that the names of the songs are in different languages, and it is not only on this album, but in the previous ones as well. This song starts again softly with a calm rhythm that later will receive some changes, musically and environmentally, so you can take advantage of the richness of sounds and elements that the band offer. In "Open Directions", the sound of the viola in moments reminds me to Mahavishnu Orchestra, though here there are neither guitars nor violin. This is another shorter song whose sound may be pretty alike to the previous tracks, however they all are different. The short passage where a disarming viola appears is exquisite. And the album finishes with another short track; "Molto Lento" concludes this quite interesting release. As the title suggests, the rhythm is quite slow, which does not mean it is boring. Put attention to Spalklang's music, they are great, I highly recommend the band, and this album to you who like Jazz and RIO, and prog rock in general. My final grade is four stars. 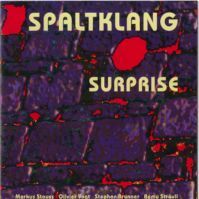 Swiss ensemble SPALTKLANG, from a German word that can best be translated as broken sound, was formed at the beginning of the millennium, and issued their first album in 2002. Since then the quartet have issued a further three productions, "En Suite" from 2009 the most recent of these. "En Suite" is a production that should find it's key audience amongst those who enjoy fusion and chamber rock, and should be of particular interest to those who generally seek out challenging and complex compositions to cater for their musical needs. High quality musicianship comes with the territory, so to speak, with the same high standard for mix and production a bonus feature fans of this kind of material will appreciate. I've already written so much about Markus Stauss and his projects that I sometimes feel like I have nothing new to add. But just when I think I can't write anything new about his music, his compositions inspire me again. This is how it was when I heard Spaltklang's first album, entitled Alpenglühen. All the compositions were written by Markus Stauss (like on most of the projects he's involved in), except for a few short excerpts, which were a joint effort. 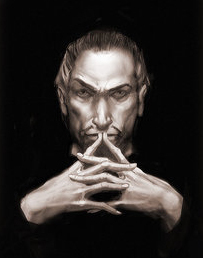 We are once more faced with the man's ability to write extremely "happy" melodies at one moment and extremely complex, intricate and even sinister segments at other times. Nothing is beyond his capabilities and he leaves no stone unturned. He exploits all of his talents and as many musical influences as possible. The end result is usually music that's beyond reproach both in terms of melody and innovation - Alpenglühen is the perfect example of this. This album is filled with many fascinating rhythm changes, up-tempo segments and also many slower parts that build in intensity. It isn't boring for a single second and a lot of this has to do with the variety of stiles they deal with here. Most of the album is a shrine to innovation. Even though the genres they deal with have all been tackled by other artists, Spaltklang redefine the music and put a different spin on everything. Their variety of jazz-rock sounds unlike any other jazz-rock out there, with hints of folk, classical, avant-garde and lots more. The musicians shine as usually. Stauss's soft and hard saxophone lines are brilliant as always. The violin adds a special flavour to the music - sometimes it makes you recall the jazz-rock stylings of Jean-Luc Ponty or Jerry Goodman, but at other times it sounds classical or even folky. The bass is expressive and stands out on its own. The lines are not really typical for an instrument in the rhythm section, they're much more varied and intricate than what we're used to. Unlike the other Spaltklang albums, Rémy Sträuli fits a few more of his keyboard parts in here. Thus we are able to hear some very tasty synthesizer segments, including the warm sound of the mellotron, among others. He also enthralls us with his impressive drumming skills, which are, just like the bass, anything but ordinary. Seeing as this is the band's first album, someone who was unaware of the band members before this release might think this would be a typical first album - full of enthusiasm and eagerness, but also full of sloppy mistakes and compositional inexperience. There are no such problems here. The eagerness and dynamics of a band's first album are here, but the compositions are finely honed and are obviously a work of skilled professionals (meaning all the members). The arrangements (not the flower kind) are also exceptional, which merely exhibits the talents of the group. 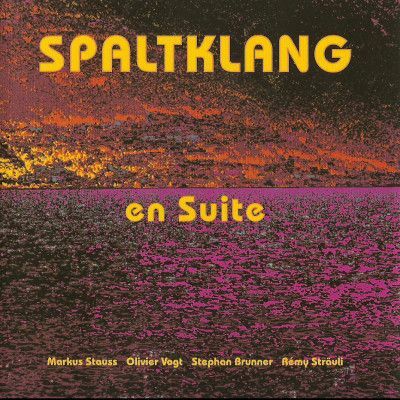 It's true that Alpenglühen is their first effort and the subsequent releases would just keep on getting better, but this album was the one which defined the essence of Spaltklang's sound and music.